Ladies and gentlemen, the former President of the United States. 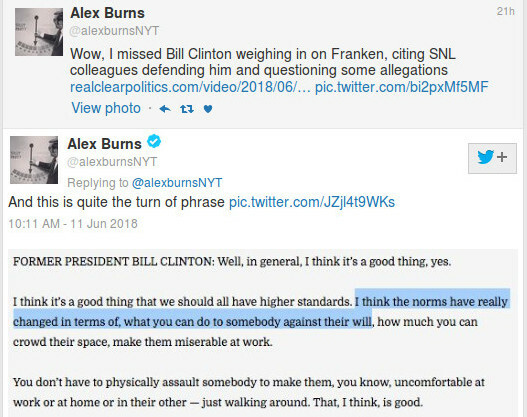 Ah, the good ol’ days, huh, Bill? And people really do occasionally wonder out loud why I can’t take politics or politicians seriously. I’m so glad I don’t Twit. I’d have killed myself by now.